Painting/Icon: "St. Seraphim Of Sarov With Bear"
Despite what TvTropes.org might tell you, not everything is worse with Bears. 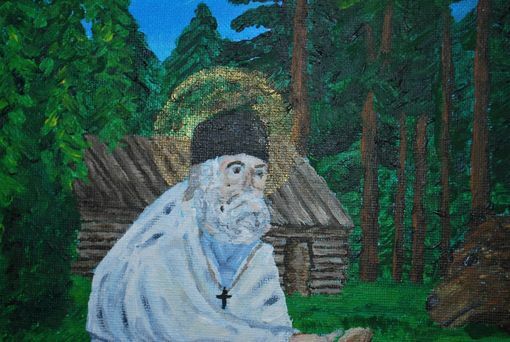 St. Seraphim of Sarov is an excellent example of how this is not the case. 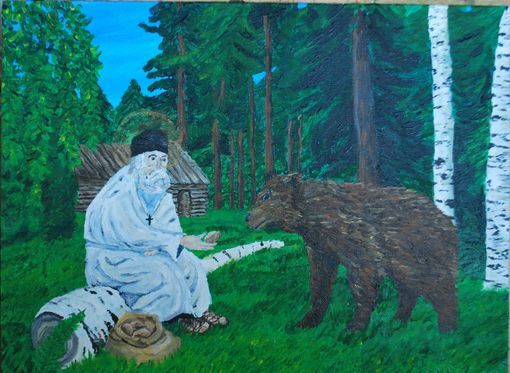 Famously saying, "Acquire inner peace, and thousands around you will be saved," his inner peace allowed him to communicate with various dangerous animals in the Siberian Wilderness. Yeah, he was kind of a badass. 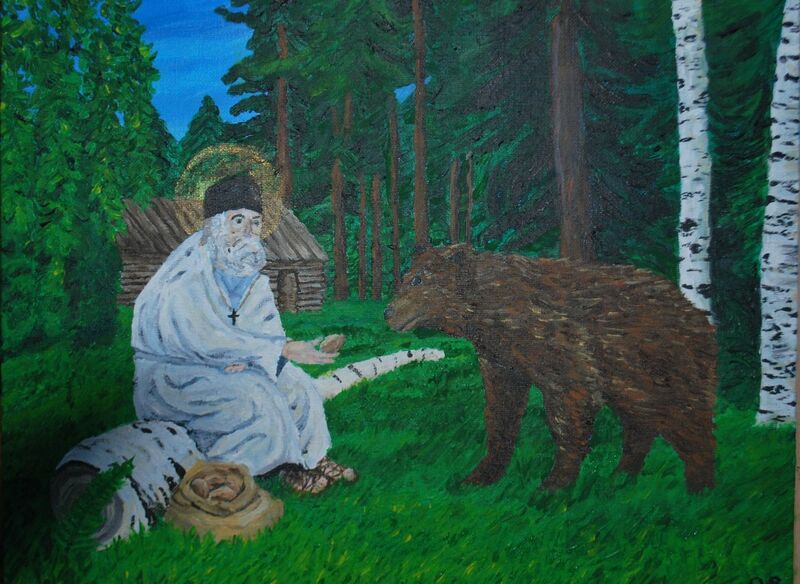 This devotional artwork was painted at the request of a friend. It again, is 14"x18" in size.